We received a report this week from a Travelfish user of a shooting on a bus they were travelling on between Luang Prabang and Vientiane late last week and one passenger, a Lao, was shot in the stomach. Historically travel between Kasi and Luang Prabang has been somewhat dangerous (especially around Phoun Khoun), but it had settled down over the last decade. However, in the last 12 months though, there have been a number of shootings and attacks on this road. Tourists have not previously been specifically targeted, but as was the case in the event we were advised of, travellers may get caught up in the happenings. Laos is a bit of a black hole news-wise, and few of these reports see column inches in international press, though some foreign governments do have warnings out about travel in this area. Lao watchers suggest there have been a fair few incidents allegedly linked to Hmong rebels in recent months which may (or may not) be related to anti-China sentiment in the area. It is important to clarify that the area of concern is well north of Kasi - travel by land between Vientiane and Vang Vieng is safe. I'll be adding some more information to the destination guides shortly, but in the meantime. please find below a selection of foreign office warnings related to this area of Laos. Think seriously about whether you need to travel here due to the high level of risk. If you do travel, do your research and take a range of extra safety precautions, including having contingency plans. Check that your travel insurer will cover you." 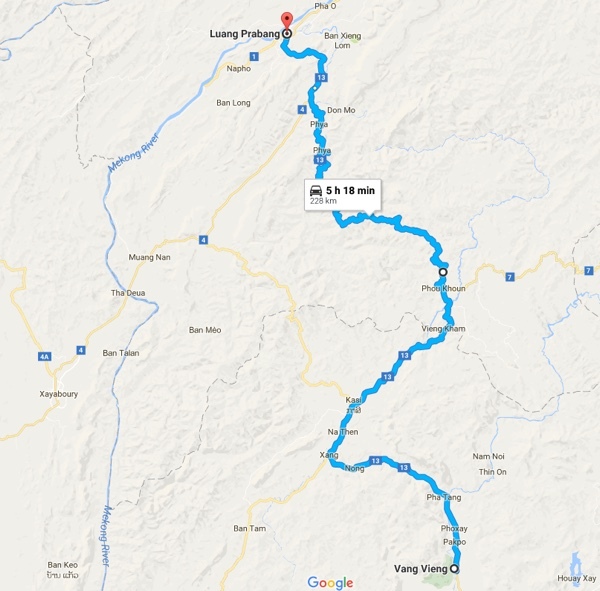 "Xaisomboun Province and portions of Road 13 and the “new road” between Vang Vieng and Luang Prabang - Avoid all travel. Global Affairs Canada advises against all travel to Xaisomboun Province and portions of Road 13 and the “new road” between Vang Vieng and Luang Prabang due to the tense security situation and recent random shooting incidents." "The Foreign and Commonwealth Office advise against all but essential travel to Xaisomboun province and along Route 13 from Kasi to Phou Khoun. On 1 March 2016 there was a roadside attack on a bus on Route 13 north, 3km from Phou Khoun close to Ban Viengkham, Phou Khoun District, Luang Prabang province. Two people were injured. There was a roadside attack on March 23 between Kasi and Nan district. Six people were injured and one person died. If you travel along this route you should be vigilant and follow the advice of your tour operator. You should avoid travelling along this route after dark, if possible." Road 13 from Km 220 north of Kasi in Vientiane Province to Km 270 at the Phou Khoun junction in Luang Prabang Province the “new road” from the Kasi junction to the Road 4 junction between Luang Prabang and Vang Vieng all of Xaisomboun Province. U.S. Embassy personnel are restricted from traveling to these areas due to reports of violence." As you can see from the foreign offices, they caution against travel on both Route 13 and "the new road". One route is not safer than the other but if you are travelling by bus, it will almost always take Route 13 as buses have a hard time handling the new road's steep gradient. The only other way to get from Vang Vieng to Luang Prabang would be to return to Vientiane and fly, which I know may not be in everyone's budget. But in general, I usually advise travellers to fly to Luang Prabang because in Laos, you're far more likely to get into a road accident than be accidentally shot. Many vehicles continue to travel the route everyday -- it's the major throughway for getting goods into Luang Prabang. There does seem to be a loose pattern around targeting Chinese vehicles and buses. Minivan transport, which mainly take foreign tourists, seems less risky but this is speculation as there isn't much information available publicly. I travelled this road in 2003, just after 2 Swiss cyclists were taken off a bus and shot dead. When I cycled along the road, I was surprised by the number of armed soldiers (alarmingly, not all in uniform) stationed along the road. I'm planning to cycle up there in a couple of weeks time. Will I find the same level of "protection" this time? I'd also find it helpful to have a map with the potentially dangerous sections marked and a clear description of what you mean by "new road". Would it be a good idea to detour from Kasi via Muang Nan, Sayaboury and Hongsa? 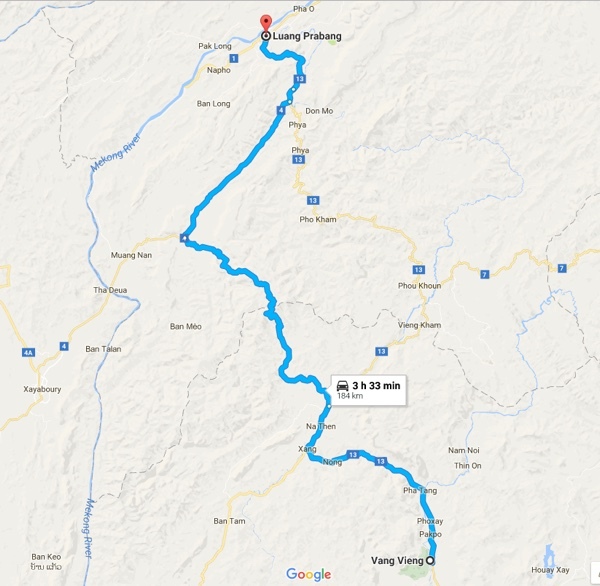 What's accommodation like between Hongsa and Luang Prabang? Ok, below are two maps, showing the two routes between Kasi and Luang Prabang . The first map, is the “old route”, the second map is the “new route”. As you mention, tourists have been killed on this road previously—a foreign cyclist (Australian I think, but not sure, was a long time ago) was killed north of Kasi in the mid 90s as the Swiss duo were in 2003. At the time of the 90s killing, a Canadian friend and I were trying to hitch to Luang Prabang and were turned back at Kasi. But that was a long time ago. More recently, I was attacked and narrowly avoided being murdered when motorbiking near Phongsali in the far north. 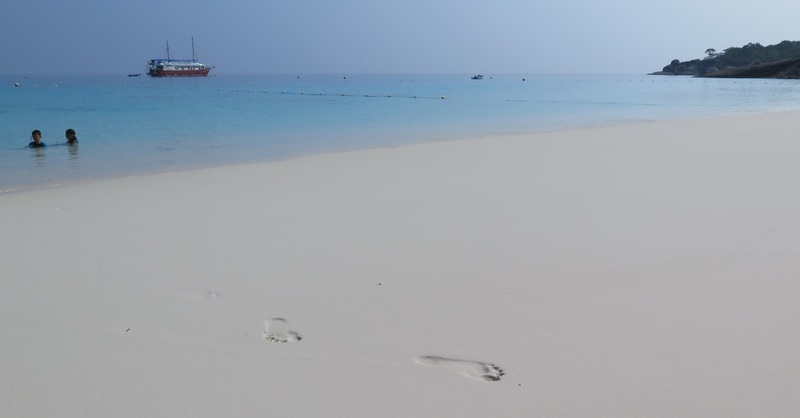 The recent attacks show no evidence that foreign tourists are being specifically targeted. My point is, news of attacks like these often do not filter out of Laos in the same way they would if the attack happened in Thailand. It is a frustrating peculiarity with news in the country. Yes, the road has an element of danger to it, but, to be honest you're more likely to have a motorbike accident or injured in a minibus accident than be shot up in a minibus in Laos. I'm not trying to be callous, as the risks are there as evidenced by the initial posts on this, but, well, these buses run multiple times a day, day in day out, and these attacks have been so far, relatively infrequent. At least those that we have heard of. That said, as Cindy says, those who are concerned about safety on this route should fly this leg (if they can afford it). Would I personally bicycle this route by myself? No. I think you'd be putting yourself in a heightened risk in an area that does have some security concerns. After my experience in Phongsali, I'm a bit paranoid in this regard, I probably would catch the bus though. If I was travelling with the kids, I'd fly. Assuming you're an you're an experienced traveller, my advice to you would be to ride as far as Vang Vieng and then aim for a tourist minibus that will throw your bike on the roof for the run to Luang Prabang. I would not ride this leg. Thanks a lot somtam2000. You've made things clear. I'm sorry to hear about your motorcycle incident. Anyway, I've been close to IRA bombings in London, but still feel that whether in Lao or London, traffic incidents are a bigger threat to my life than bombers or gunmen. I think that, if I do go up to Luang Prabang it will be by cycling a big detour, rather than taking a bus. So I'm still interested in any information about accomodation on the route via X/Sayabury. Right now I'm enjoying cooler weather in Paksong after climbing over a thousand metres at 34 C and what felt like 100% RH until the rain broke through. I recently rode a bus thru Muang Nan and Sayaboury and saw plenty of nice guest houses, hotels and "resorts" in both places. Both towns had a nice feeling and seemed a bit affluent. But I shook my head as our bus went down the 14% grades just east of Muang Nan on Hwy 4. Too steep to go down with ordinary bicycle pad brakes and too steep to peddle up I'd guess. Bicyclers might think twice about this 10 km section of road. BTW, when I took a different bus on the so-called "new-road" between Kasi & Hwy 4 junction not far north of Muang Nan I noticed the km markers said it was Highway 4C so why don't people start calling it that? Aside from the safety concerns and the very steep gradients, another reason why cycling the new road to Luang Prabang is not advisable is the lack of infrastructure. Unlike Route 13 where there is a village every few kilometres, petrol, regular transport you can hitch a ride on, etc, the new road only has a few settlements and one major rest station along the way. Sayaboury has plenty of guesthouses and hotels. One possibility is to go from Sayaboury to Hongsa, then catch a slow boat on the Mekong down to Luang Prabang. Note, I have never been on the road from Sayaboury to Hongsa so I don't know what the road or infrastructure is like - Hongsa definitely has a few guesthouses as there are several dam projects in the area. Catching the slow boat in this part of the river would be an interesting experience. I heard that story too. The guy in Kasy told me that soldier shoot another soldier but I don't know how shooting in the bus. Would you please tell me what you see. this web page link has the story of the shooting and the story is also below the link - http://www.rfa.org/english/news/laos/a-lao-soldier-si-dead-02222017153619.html . One Lao soldier was killed andanother was injured during a shooting on a bus traveling on Highway 13 North inVientiane province’s Nam Ken village last week, causing authorities to beef upsecurity in the area. What prompted the Feb. 16 shooting is unclear. Authorities firstbelieved it was the work of bandits, but one official said the shooting was analcohol-fueled accident. “One man was a little intoxicated, and played with his gun,” a Luang Prabang public works and transportation official told RFA’s Lao Serviceon condition of anonymity. According to local officials and social media posts, a mandressed in a military uniform boarded the bus bound for the capital ofVientiane from the north central city of Luang Prabang at an unscheduled stopThursday evening. The man sat near some other soldiers on the bus before shootingand killing one soldier, injuring the other and terrifying the passengers. The bus stopped and the man disappeared into the forest thatlines the highway, a critical transportation route in the mountainous,landlocked country. After the shooting, Luang Prabang authorities banned buses fromtaking on passengers at unscheduled stops. Buses are now allowed to pick uppassengers only at main points on the line. While the Luang Prabang official described the shooting as anaccident, a Kasi district official told RFA the authorities have reinforced themilitary garrison there, and have launched an investigation. It's been a long time, but I should let you know that I arrived in Luang Prabang four days ago, after cycling along Route 13, from the south, without incident. I did note, that of all the roads and tracks I've cycled along in the last three months, this is the only road where I've noticed small groups of soldiers moving about in lorries. I haven't seen any soldiers stationed on the roads.